Supplier : New India Trading Co. Printed Type Wall Mounted Calendar is made using quality grade materials that ensure good quality. 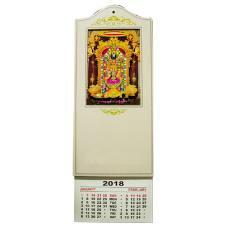 The Calendar can be availed in various specifications. The Printed Type Wall Mounted Calendar has long lasting life. Supplier : Korpbiz Pvt. Ltd. Supplier : Falcon Printographics Pvt. Ltd.